Poinsettia, these colorful plant, so fitting in holiday home decorations, sometimes become a problem after Christmas when blooming ends and many times they are thrown out. 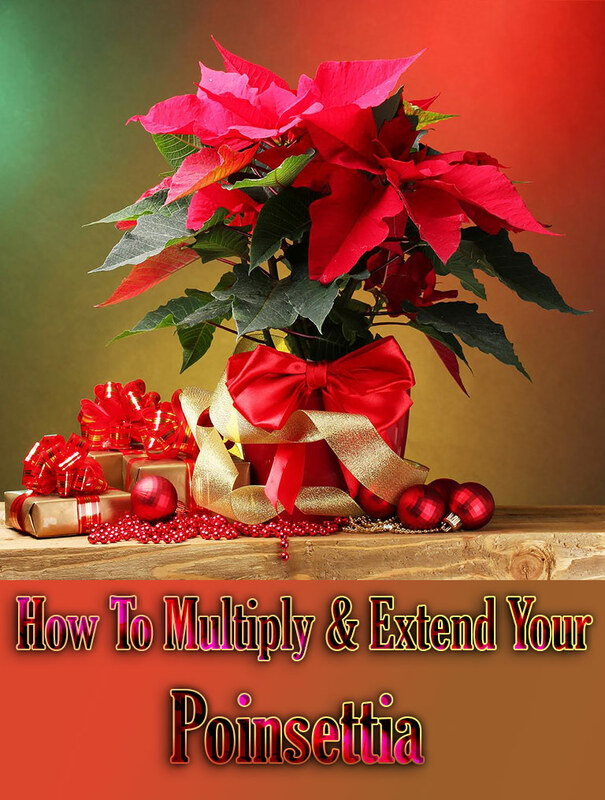 If you love filling your home with Poinsettia during the holiday season, here’s how you can get another blooming season from them. It’s not a particularly long-lived houseplant but you can perpetuate it by harvesting cuttings. After it flowers, the Poinsettia should be rested. Take it to a cool dark corner of the basement and keep it almost dry, although not so dry the wood shrivels. Near the end of April Poinsettia should be brought back into light and warmth, cut back to half its height, and watered generously. It will soon begin to grow again. When nights have become warm (no cooler than 58°) it may be set pot and all in the ground outdoors. It should have full sun and should be watered regularly. Liquid fertilizer may be used occasionally. The poinsettia must be cut back before it begins to grow in the Spring–if not, it will become tall and stringy, and unproductive of bloom. After a summer’s growth it is too late to cut it back. As nights get cooler in later summer or fall, it should be brought indoors and put where the air is moderately warm and humid, where it gets full sun, and where sudden drafts of cool air will not hit it. The time to take cuttings is soon after the new growth starts, in June or July. Cut a six-inch slip at a node or with a small heel of old wood from the parent stem. Trim off all but two top leaves, and stick the cutting into fine moist sand. 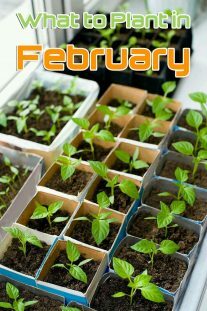 Roots should form in about a month, and the cutting may then be transferred to soil in a small pot. Increase the pot size gradually as it grows. Use a soil mixture of two parts loam to one part sand and one part rotted manure. Poinsettias propagate readily from stem cuttings, which will root in just a few weeks if kept under warm, bright conditions. 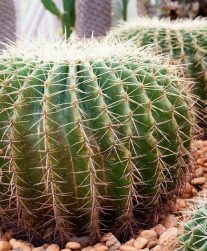 The cuttings require little care to successfully put down roots, although you must use a sterile medium to prevent fungal and bacterial infections in the stem. 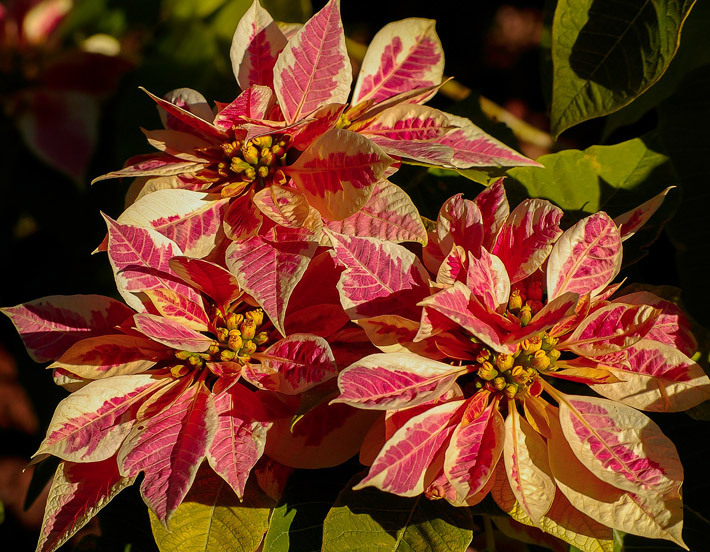 Propagate poinsettia cuttings in summer after the plant begins to produce new shoots at the base. Wait until the shoots reach 3 to 5 inches long before using them as cuttings to ensure they are mature enough to put down roots. Poinsettia cuttings will root without pretreatment, although rooting hormone will hasten the process and produce more roots. 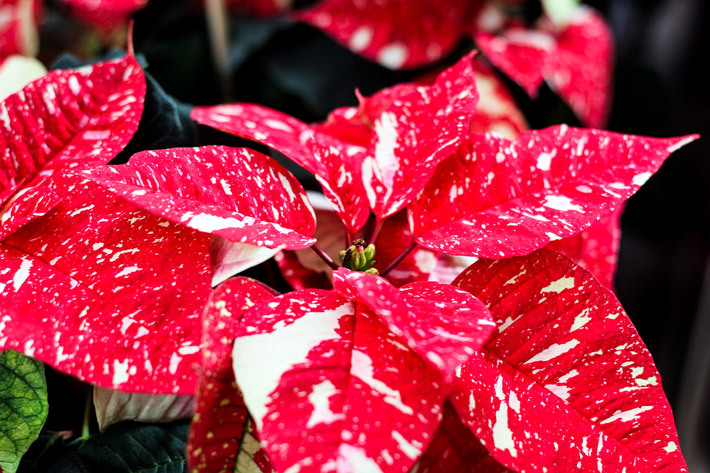 Poinsettias exude a thin latex-like sap that provokes an allergic reaction in some people, so wear gloves when handling the plants. 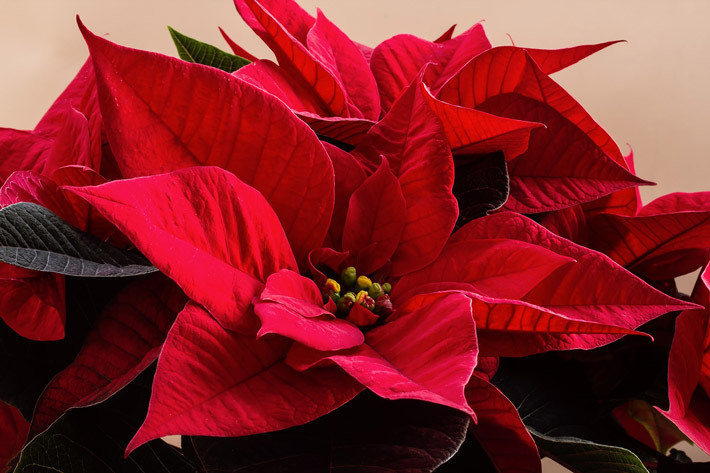 Poinsettia may not bloom if it is where artificial lighting prolongs its day–they like short days for their flowering period. 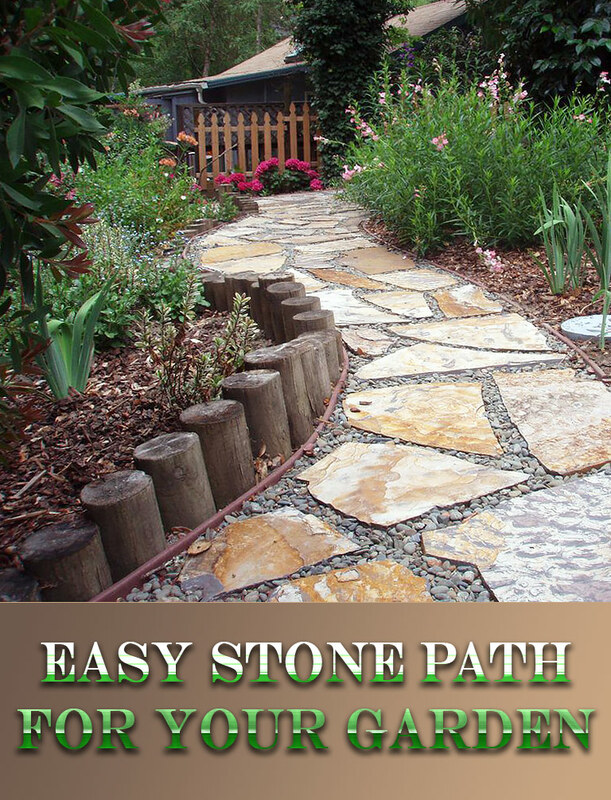 Protect it from all forms of light after regular daylight hours. Water it regularly but do not waterlog. Yellow or dropping leaves may be caused by too much water, or by chilling.